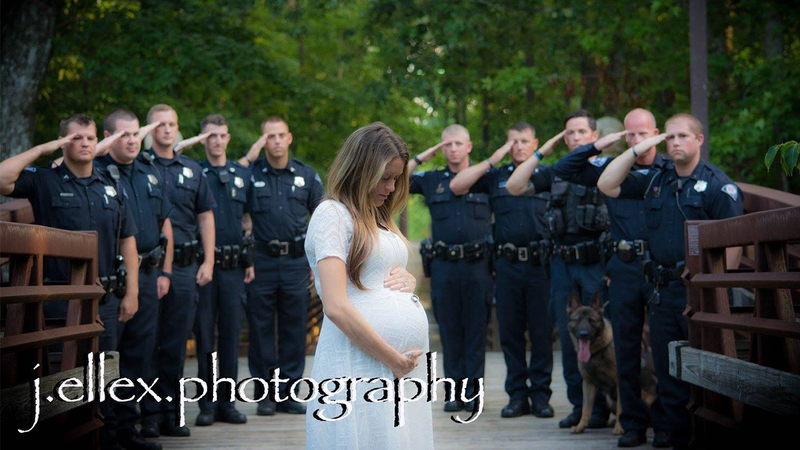 GREENVILLE, SC -- The wife of a fallen police officer out of Greenville, S.C. was honored in her maternity photo shoot by the police force her husband served. Jessie Ellex of J.Ellex Photography snapped the images of Meghan M Jacobs. Her husband, Officer Allen Jacobs, was killed in the line-of-duty on March 18th. "Officer Jacobs was a well decorated army veteran and devoted police officer to the Greenville community. Meghan M Jacobs is expecting a baby girl in July and I was given the honor to capture these photographs for her," the photographer wrote on her Facebook page. Officer Jacobs is survived by his wife and two young boys. Check out the rest of the photos on J.Ellex Photography's Facebook page.